“We have achieved a new milestone towards expanding the coverage of full immunization in Himachal Pradeshaimed at reducing child mortality.” Shri J P Nadda, Union Minister for Health and Family Welfare stated this as the Health Ministry approved introduction of Pneumococcal Conjugate Vaccine (PCV) under Universal Immunisation Programme. 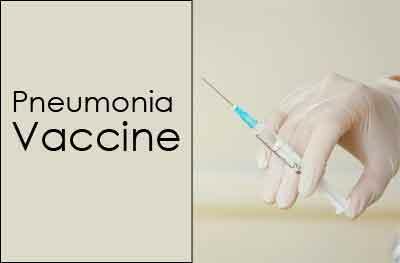 Himachal Pradesh will be among four other states where Pneumonia Vaccines will be introduced along with Bihar, Uttar Pradesh, Rajasthan and Madhya Pradeshin a planned manner from 2017. Shri Nadda further said that this will give a unique opportunity to the State to demonstrate the combined effect of Diarrhoea Vaccine (Rotavirus) and Pneumonia Vaccine (PCV) reduction intervention on the overall child mortality and morbidity in the State. I am sure Himachal Pradeshwill be hugely benefitted with this new PCV Vaccine. We want our children to be healthy and this intervention is one step forward in ensuring that,” Shri Nadda added. It may be recalled that the Ministry of Health and Family Welfare had earlier this year introduced Rotavirus Vaccine to combat diarrhoea in the four states of the country – Andhra Pradesh, Haryana, Himachal Pradesh and Odisha. Adding this life-saving vaccine such as PCV and Rotavirus to our immunization program will not only improve the health of our children but will also reduce hospitalization and other conditions associated with diarrhoea and pneumonia such as malnutrition, delayed physical and mental development among children. Reduced hospitalization reduces the economic burden on the family and the health cost burden on the country”, Shri Nadda said.